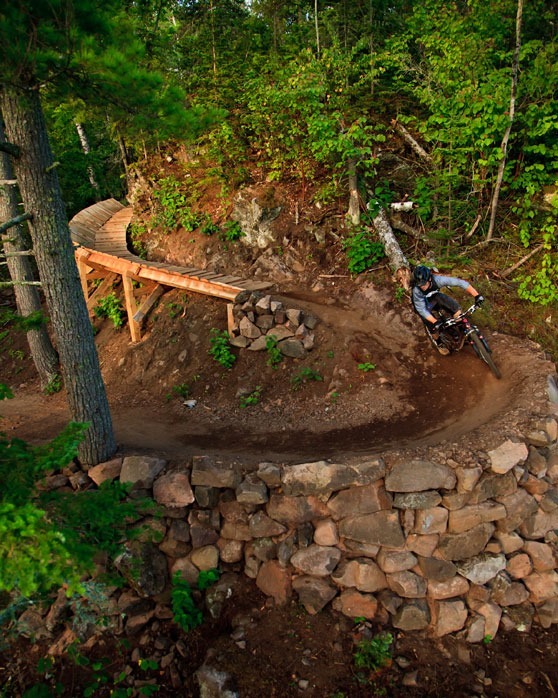 With only a short amount of time to ride the trail system at Copper Harbor during this year’s Ride the Keweenaw, I didn’t want to spend much time taking trail photos or shooting any video. Plus, I knew that there were plenty of photos and videos of this IMBA Silver-level Ride Center online already. 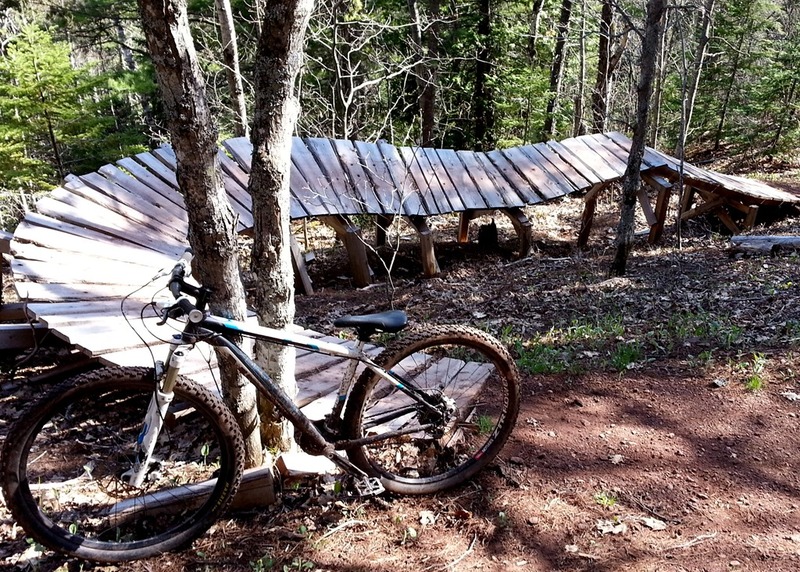 A good place to start for photos: the Keweenaw Adventure Company‘s Epic Rides page which has several photos by IMBA’s Midwest Regional Director Hansi Johnson. For videos, start with the stunning interactive Copper Harbor Trail system map by the Trail Genius. 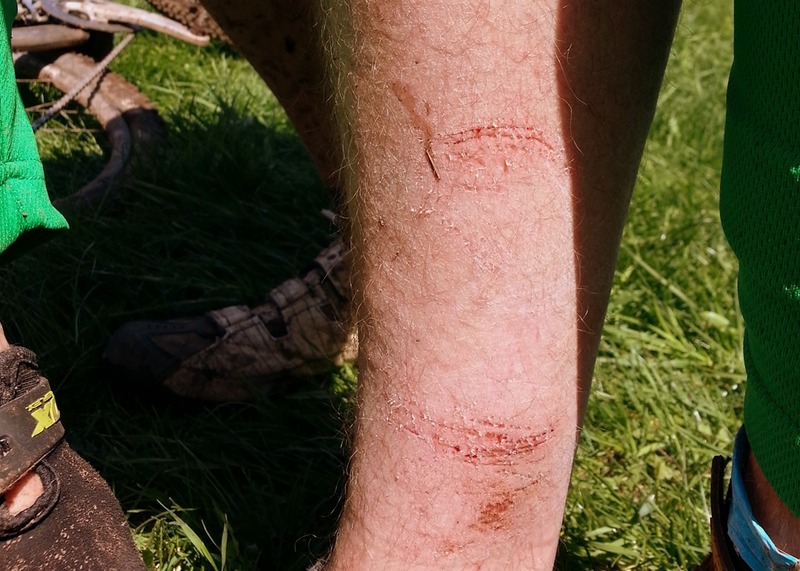 There’s a little for everyone, with technical rocky areas, long flow rides, extended downhill tabletop jump sections, climbs that make you whoop if you manage to scramble up, boardwalks, simple trails next to dropoffs… just spectacular. Among my goals: I wanted to try some of the smaller table top jumps and advanced berms. 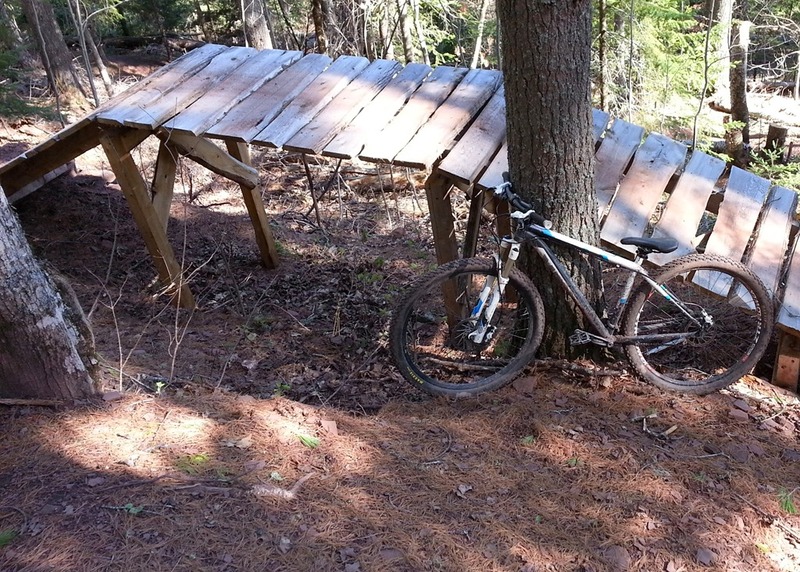 Much of the big stuff on the double black diamond trails was over my head but even on runs like the Flying Squirrel and On the Edge there was still plenty of fun stuff that I could ride. 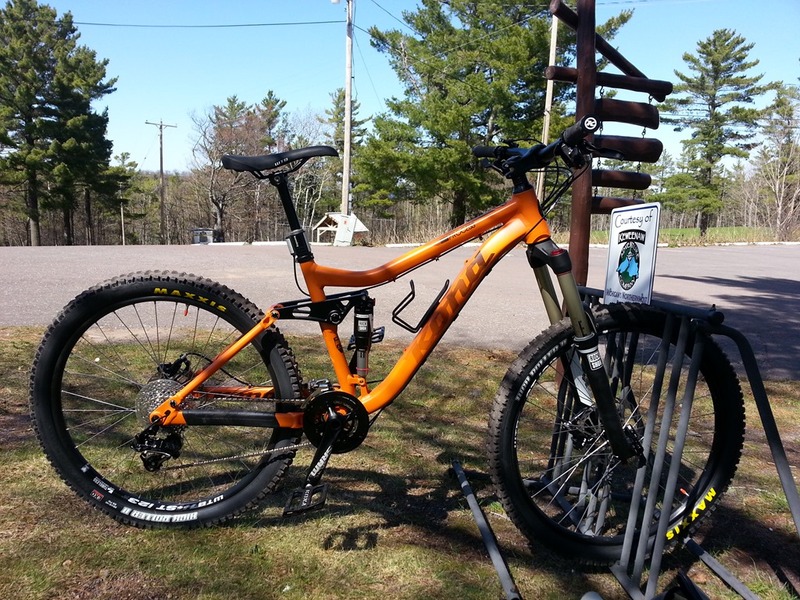 But it wasn’t till I rented a dual suspension Kona Process from the Keweenaw Adventure Company that I got a taste of what’s possible. I was shocked how much easier it was for me to pump the rollers and go fast on the downhill gnarly stuff than with my hardtail 29’er. 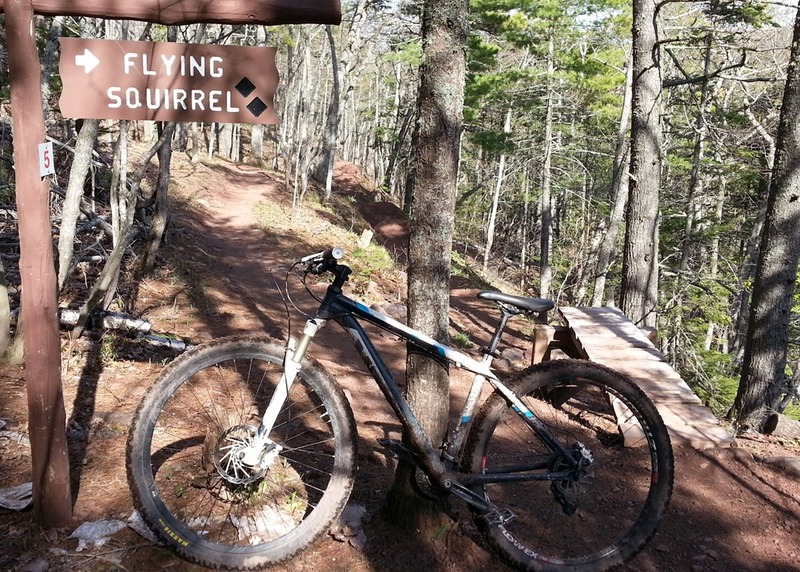 Full squish has just moved ahead of a fat bike on my bike quiver priority list. Aaron came in search of epic snowboarding at Mt. 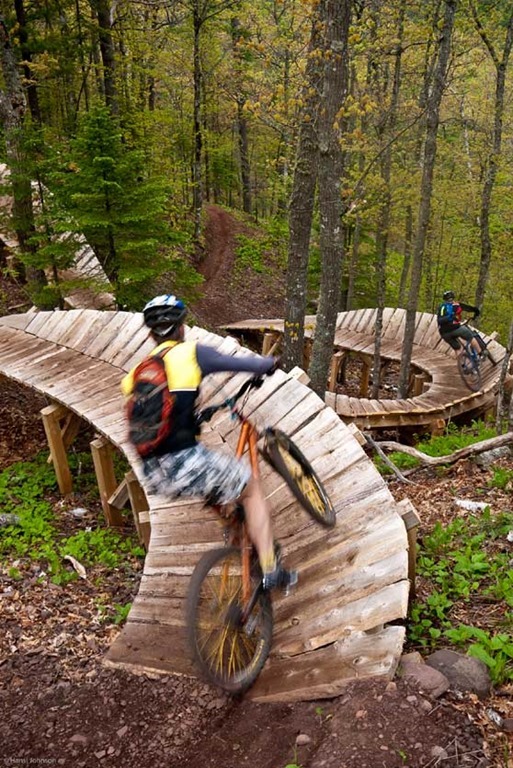 Bohemia and stayed to build epic bike trails in Copper Harbor. A man with a vision for greatness, Aaron built upon a foundation of great trails on great terrain and turned them world class. 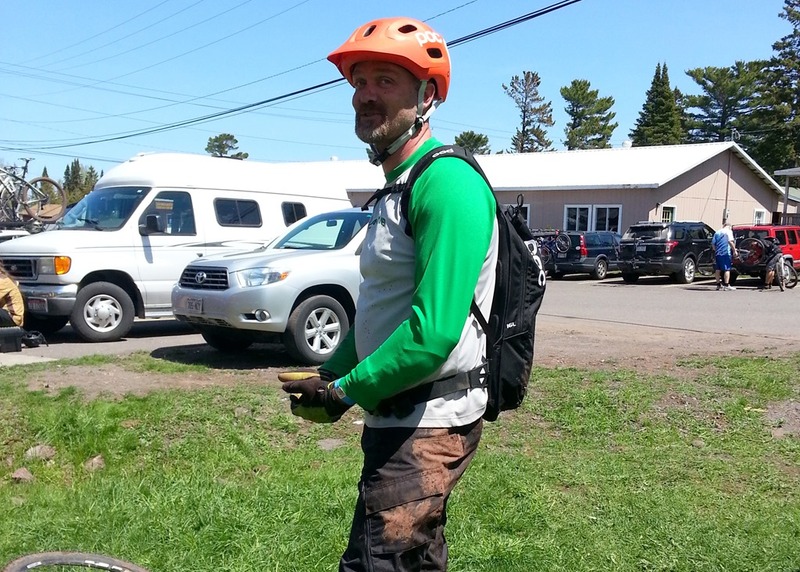 Now a contracted professional trail builder with IMBA Trail Solutions, Aaron’s heart remains in Copper Harbor. 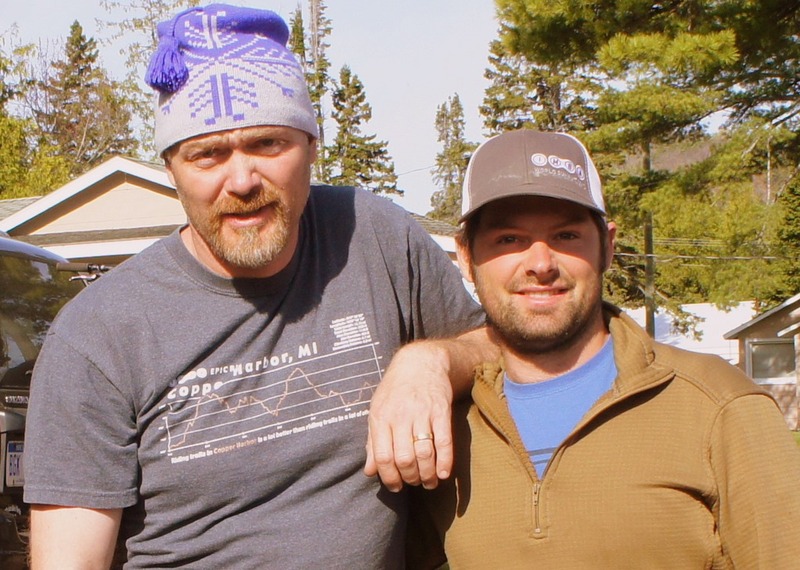 Fortunately for us (and his wife Amanda), he prefers to build trails in Copper Harbor but also dabbles farther south on the Peninsula. 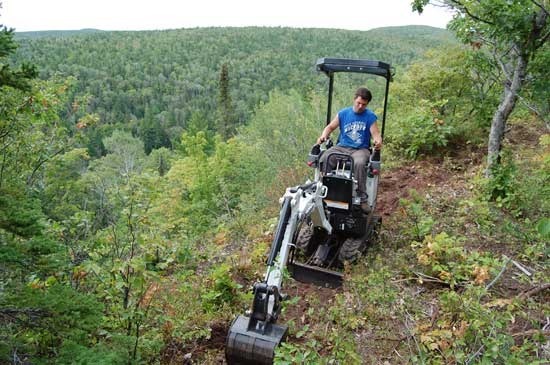 If you find Aaron, it will be at the end of a newly built trail at the controls of the mini-excavator or with Pulaski in hand. If you can’t find him, it is most likely because you can’t catch him. 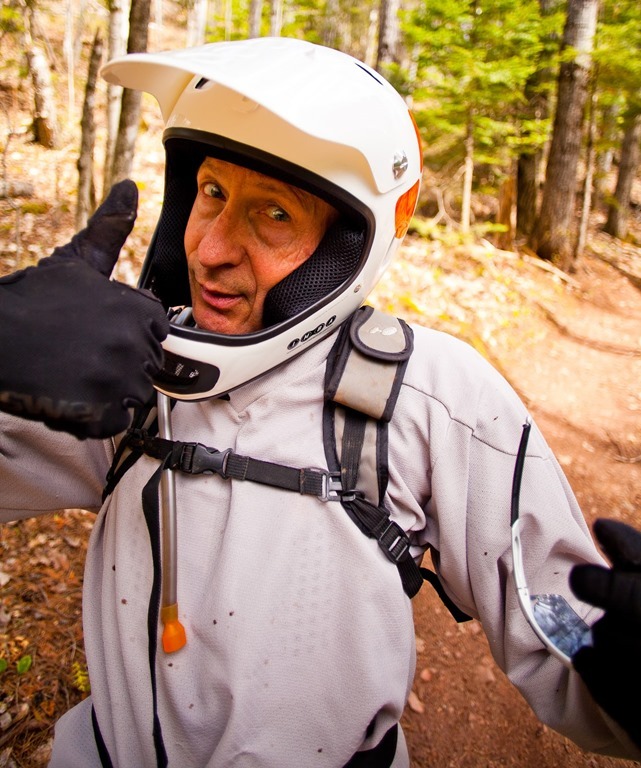 He’s as good a rider as he is a trail builder. Like most everyone else who’s ridden Copper, I can’t wait to go back. 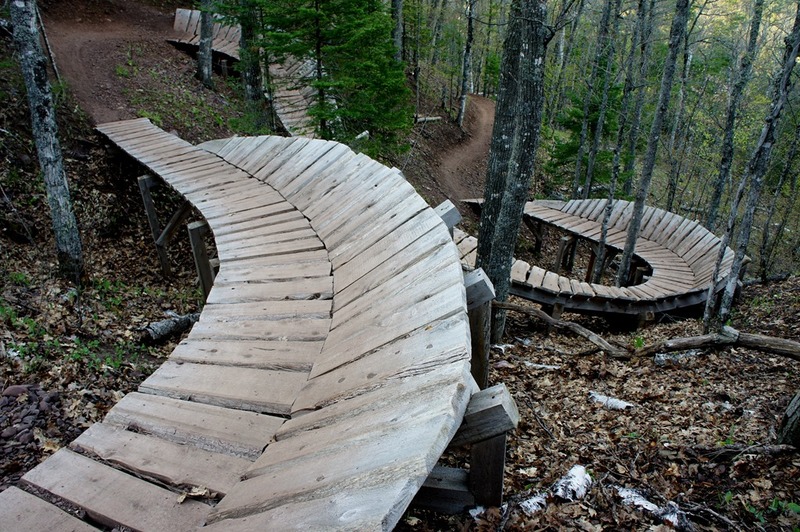 And I’m thrilled that some of the MTB parks here in Minnesota are learning from what’s been done there.